Whatsapp is a popular instant messaging app for Android phone that is widely used for personal and business purposes. The instant messenger is not only used by people who want to share videos casually but many people also use it for commercial purposes for example, real estate agents also use Whatsapp to communicate with their clients. The easiest way is to use a video converter software to compress the video into a format that will make the video file size smaller than 16 MB. The 16 MB file size limit is set by Whatsapp. For this reason, Whatsapp is not suitable for sending 4K/HD video you shoot with your digital camcorder. A 40 seconds HD video will have a file size of around 20 MB so your HD video could be several gigabytes if it lasts for 1 hour or more. 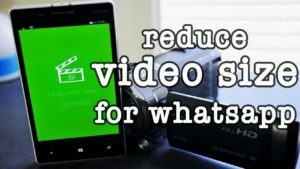 MP4 is the best format for video compression for Whatsapp video. Other formats that are accepted on Whatsapp are AVI, and FLV. You will have to find a converter that can load your original video format, for example, if your video is in M4V, find a video converter that supports conversion from M4V to MP4. When you compress large file size, chances are the quality will be the loss. Therefore, it is recommended that you use a level 3 hardware accelerated video converter. If you don’t want to buy a converter software, just use the free online video converter. When uploading your video, make sure to stay in front of your computer and watch the file uploading progress. Once you have uploaded the video, simply select the destination conversion format and press the convert button. Just like uploading the file, it is going to take a while for your video to be converted. When the video conversion process reaches 100%, quickly download the file to your computer. This is because the browser may refresh or they may delete your file within a certain timeframe. Get more details at https://www.videoconverter.com/how-to-convert-m4v-to-mp4.html. Another option is to use a trimming tool in the video editor to divide the long clip into several parts. Each part should be a short clip that lasts for 1 minute. The video editor will show you how large is the size of the video clip you have trimmed when you save it. Prior to cutting the video into parts, you should first compress it into a format with lossless quality. Unnecessary parts can also be trimmed in the video to reduce the file size. For example, you can use the trimming tool to remove the commercial part in the video. The front and end parts which display the actor’s name in a movie can also be trimmed away. You can also delete parts in the video that are not interesting. You can check if your video need to be cropped, for example, if it has a black border or black bars, you can use the crop tool to crop it away from your video. 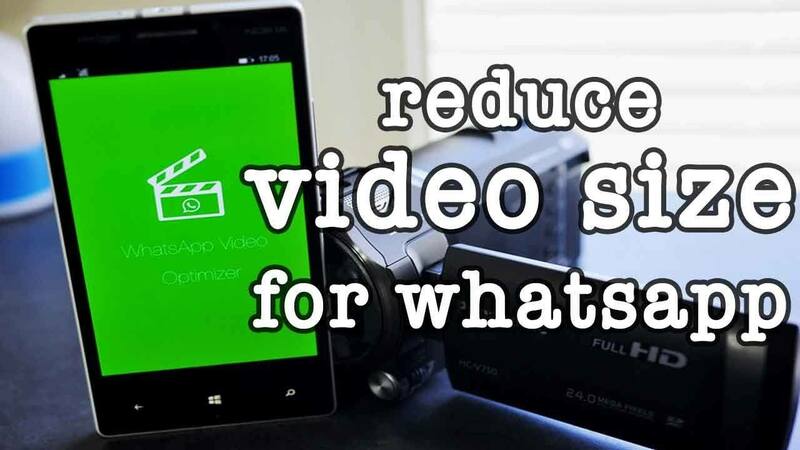 Cropping a video will reduce the resolution and file size. The last part is to transfer the compressed video file from the computer to your mobile phone. Another method is to upload your video to cloud storage like Google Drive or Dropbox. It will provide a link which you can embed in Whatsapp after you have uploaded the video. The contacts will be able to watch the video directly on the app or download the video to the computer.